Here is ‘Super E Dog’ with a reminder……. 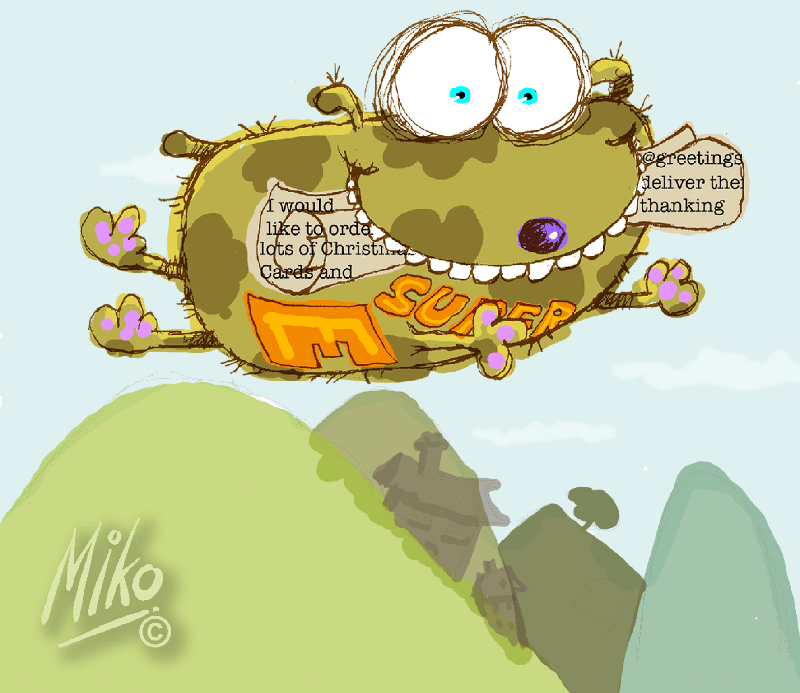 ‘Super E Dog’ The Fastest Email Carrier Dog in the World! ……Of course, you can also safely order through our easy Add to Cart buttons if you prefer. Soon these unique Miko-Greetings Christmas Cards will be proudly on display in your friends’ and relatives’ homes. 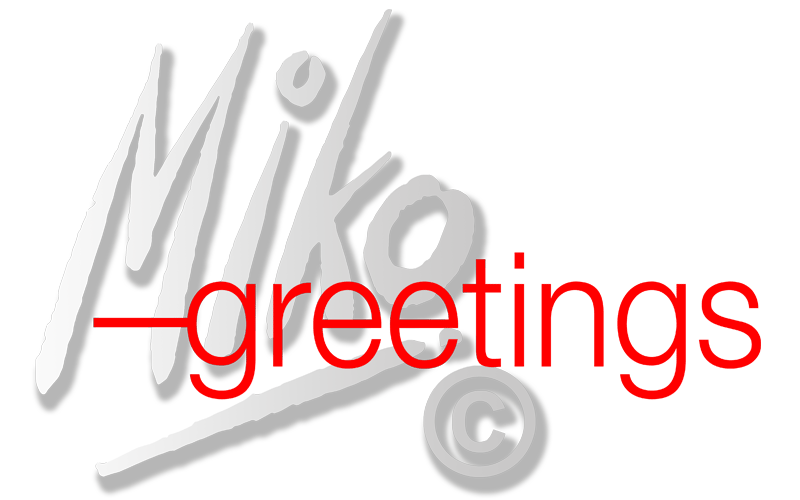 Well our Miko Greetings cards have been out in the big wide world long enough to make them worthy of a statistic! Pretty impressive huh? This may act as a guide to which to go for when making your first greetings purchases. New Cards on the Block! Our creatives juices have been flowing, you lucky peeps. We have a new venture: Charity Christmas Cards and 2 fab greetings cards added to our ever popular ranges ‘ All That Jazz’ ‘Tuneful Tentacles’ and ‘My Fine Feathered Friends’ ‘Bless You’.